Divan Beds Centre offer an excellent solution for bedrooms and homes where storage space is limited. Divan beds come with storage drawers within the base of the bed. A variety of different styles are available. 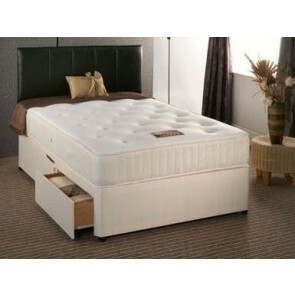 Divan beds with jumbo drawers can be purchased here at Divan Beds Centre as can beds with continental style drawers. These are drawers that stop just short of the head of the bed to allow room for a bedside table on either side. For rooms with little space around the side of the bed, drawers with horizontal sliding doors can be purchased as opposed to the traditional type of drawer that slides outwards into the room. The drawers open and close easily and are durable too so anything from clothes, shoes to heavier items like books can be stored easily. 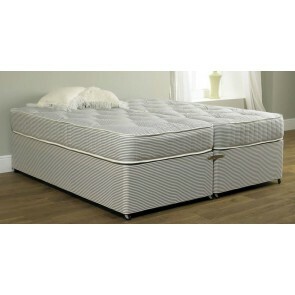 Here at Divan Beds Centre we have one of the largest ranges of Divan Beds and accessories found anywhere in the UK. We offer all the standard UK bed sizes and are also pleased to offer a bespoke service too. Any size or shape of bed can be provided by us. 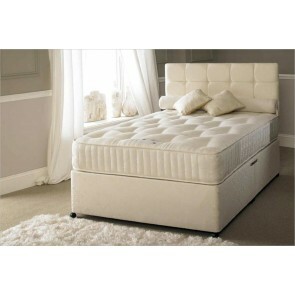 We offer Divan Beds from small single sizes right up to Super King size and beyond. If you would like to find out more about us or our beds you can find a wealth of information here on the site. Alternatively you can contact a member of staff on 0161 920 6998 or fill in the contact form. It is possible to purchase bed bases alone, or in combination with a mattress, and headboard We have firm, solid bed bases available as well as the softer and more luxurious sprung base varieties. 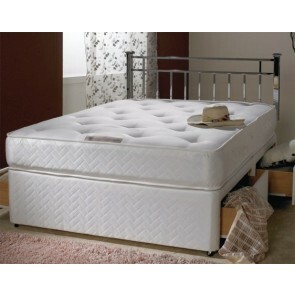 Our mattresses include pocket sprung, memory foam, coil sprung and zip and link styles too. If you are unsure on what type of mattress would best suit your needs, then don’t hesitate to contact us here at Divan Beds Centre. Some people benefit from a firmer variety of bed, whilst others need a pocket sprung variety to help get a good night’s sleep.When you choose a bed here at Divan Beds Centre, you get to choose exactly the style, design and functionality that you want. We are proud of the amount of flexibility we offer. Purchasing online is simple and safe with online payment system and we offer free delivery on all orders over £300. An excellent range of beds, competitive prices, exceptional customer service and delivery right to your door makes Divan Beds Centre the ideal place to purchase your divan beds and accessories. Coming in two parts that fit together easily, getting a divan bed in the house and up the stairs is a straight forward process. All our beds come on easy glide castors too for even greater mobility. Browse the site or contact a member of our team to find out more.